The winning streak was bound to end at some point, and it came to an end Monday night. First loss since Gleyber Torres was called up! For real. 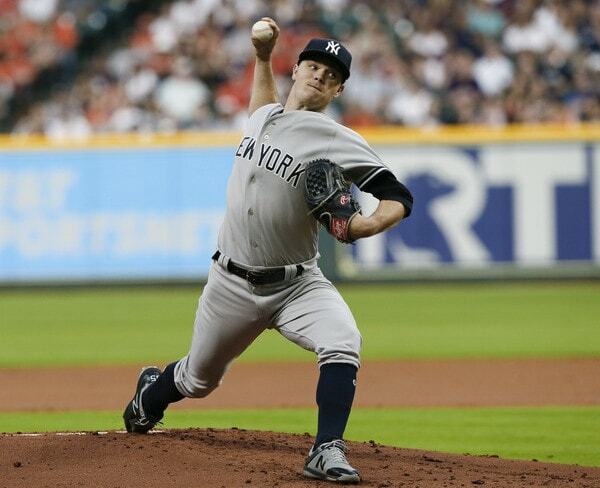 The Yankees dropped Monday’s series opener 2-1 to the Astros. So it goes. Start a new winning streak tomorrow. Hands down, that was the best Sonny Gray has looked so far this season. Don’t mistake that for me saying he was dynamite. Gray was still behind in the count a little too often and he got away with some mistakes out over the plate, but two runs in six innings against a great team in a hostile ballpark? I’ll take it any day of the week. Especially from Sonny, given how rough his season has been to date. The Astros scored their first run right in the first inning and it was an annoying run. George Springer sent a ground ball single back up the middle, Gray balked him to second, Jose Altuve pushed Springer to third with a ground out, and Carlos Correa brought him with another ground out. Three ground balls, only one of which snuck through the infield, and a balk led to a run. Blah. Stupid baseball. Houston’s second run was proper. Altuve sent a single to center, Correa drew a six-pitch walk, and Yuli Gurriel banged a double off the high wall in left field. In a way, that was Gray’s most impressive inning. The Astros had runners on second and third with no outs and one run already in, and Gray held them right there. Neil Walker threw home for the first out on Josh Reddick’s chopper, then Sonny struck out Marwin Gonzalez and got Brian McCann to fly out. That’s the kind of inning that’s been getting away from Gray all season. Sonny’s final line: 6 IP, 4 H, 2 R, 2 ER, 3 BB, 4 K. Still a few too many walks, but pretty good overall. 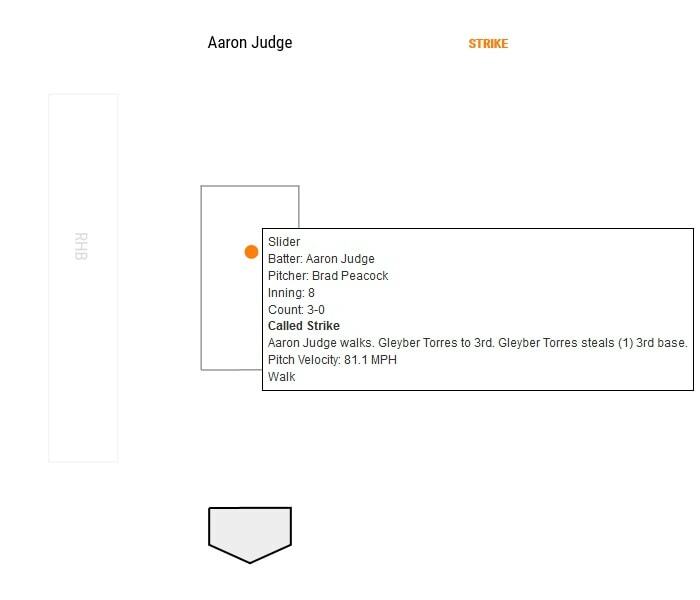 He threw a first pitch strike to 14 of 25 batters (56%) and generated nine swings and misses. It’s worth noting Gray threw 64 fastballs, his most of the season. In fact, here’s his fastball count by start: 22, 34, 46, 42, 64. Hmmm. Coincidence? Maybe. But perhaps Sonny and the Yankees have decided the scrap the anti-fastball approach. This is a #thingtowatch. Overall though, encouraging outing for Gray. Been waiting for a start like this. Charlie Morton’s transition from pitch-to-contact sinkerballer with the Pirates to upper-90s flamethrower with the Astros is lolwtf baseball at its finest. Morton manhandled the Yankees in this game. Had their way with them. The Yankees didn’t pick up their first hit until Austin Romine punched a single inside the first base bag in the sixth inning, and they didn’t hit a ball to the outfield on the fly until Walker flew out in the eighth. Nothing hit particularly deep at all for the first seven innings. Morton was charged with a run but it didn’t score until he was off the mound. Gleyber Torres, who had the best at-bats by any Yankee all night, doubled to left with two outs in the eighth to end Morton’s night. Brad Peacock walked pinch-hitter Aaron Judge — I was so hoping Judge would turn it loose in the 3-0 count, but alas (he got a very hittable pitch) — and Chris Devenski allowed a run-scoring single to Brett Gardner after Gleyber stole third. There’s your run. 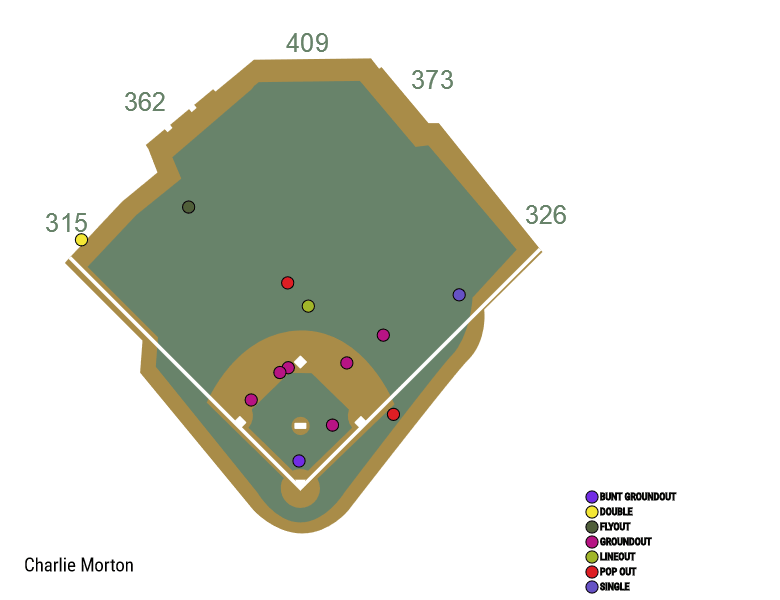 Against Morton and various relievers, the Yankees managed three hits (Torres double, Romine single, Gardner single) and three walks (Torres, Judge, Gary Sanchez) and they didn’t get a runner to second base until that eighth inning rally. Bad night for the highest scoring offense in baseball. Sometimes a dude comes out throwing 99 with a breaking ball that doesn’t seem humanly possible. Oh well. Dellin Betances tossed a perfect seventh inning and Jonathan Holder pitched around a single in the eighth. The pitching has been much better the last few weeks and it continued again Monday. Two runs on five hits and three walks against the Astros in Houston? Can’t complain about the pitching at all. It took Morton pitching like that to beat the Yankees by one run. This four-game series is just getting started. The Yankees and Astros will meet again Tuesday night. Jordan Montgomery and Justin Verlander are the scheduled starting pitchers.